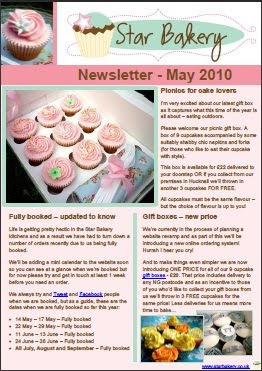 Just a quickie to let you know our May edition of the Star Bakery newsletter is now available! You can view it by clicking on the image below OR if you'd like to have it delivered safely to your inbox then just drop us an email to newsletter@starbakery.co.uk and we'll do the rest. This edition features our newest gift box inspired by the lovely weather we've been having. I hope you like it and as ever, don't hesitate to get in touch if you have any queries.